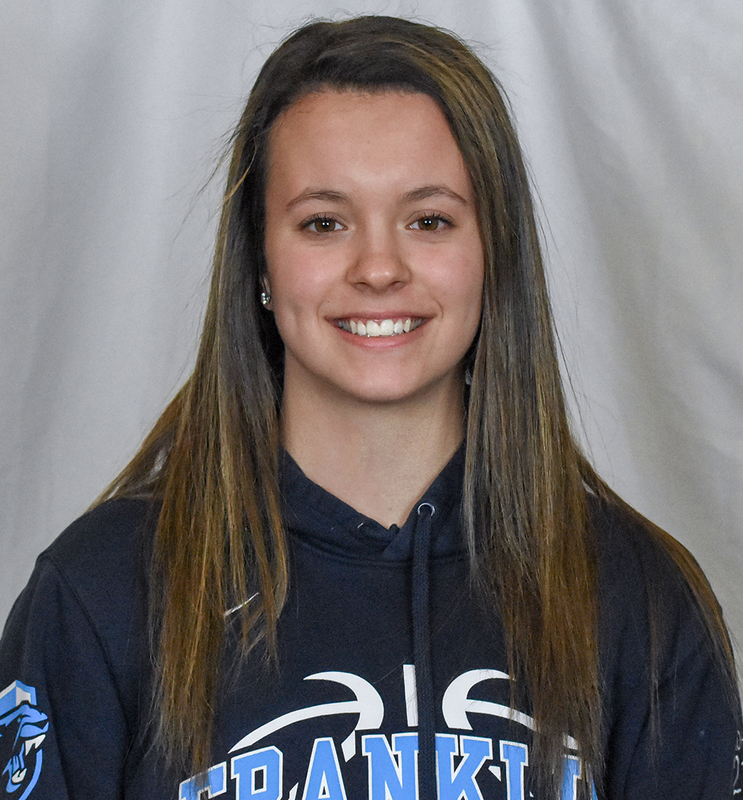 "Franklin junior center Ali Brigham has been named the 2019 HockomockSports.com Girls Basketball Player of the Year, the eighth recipient in the site’s history and the first player from Franklin to earn this honor. Brigham, a three-year starter, led the Panthers to their first Kelley-Rex division crown since 2013 and the program’s first-ever sectional title. Brigham averaged 25.6 points per game and reached the 1,000-point mark for her career as a junior. She also pulled down more than 17 rebounds and blocked more than six shots per night. Another season like this one and the George Washington University-commit would become the program’s all-time leading scorer. 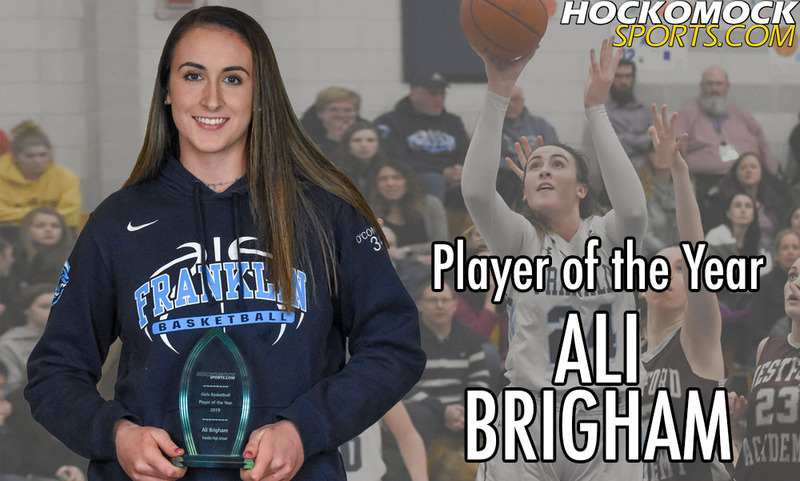 Brigham was also chosen as the Hockomock League MVP by the coaches and was a finalist for the Gatorade Player of the Year." 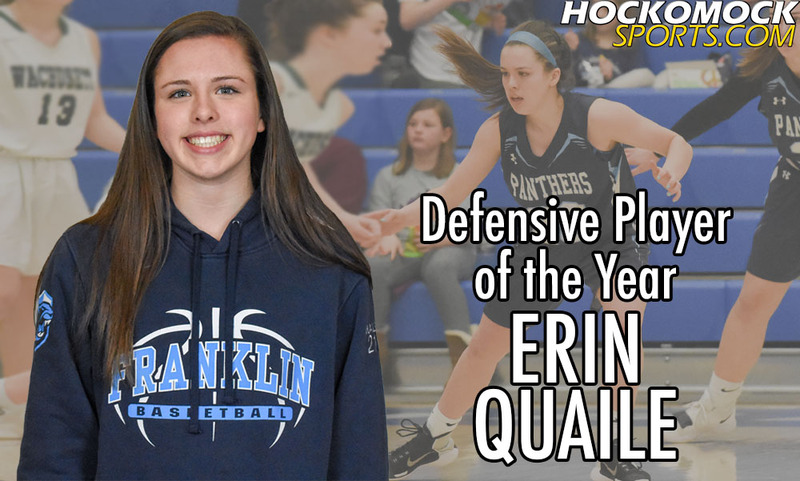 "Franklin sophomore guard Erin Quaile has been named the 2019 HockomockSports.com Girls Basketball Defensive Player of the Year. Quaile is the sixth player to receive this honor in the seven years that it has been given out and the first underclassman to win it. Quaile was a dominant presence on the defensive end, shutting down some of the top guards in the Hockomock League and chasing players off the three-point line. She finished the season with 52 steals, 87 assists, and 70 defensive rebounds from her point guard position. Quaile’s ability to shut down opposing guards helped the Panthers win the league title, the Div. 1 Central title, and hold opponents to the third-lowest points per game in the league." 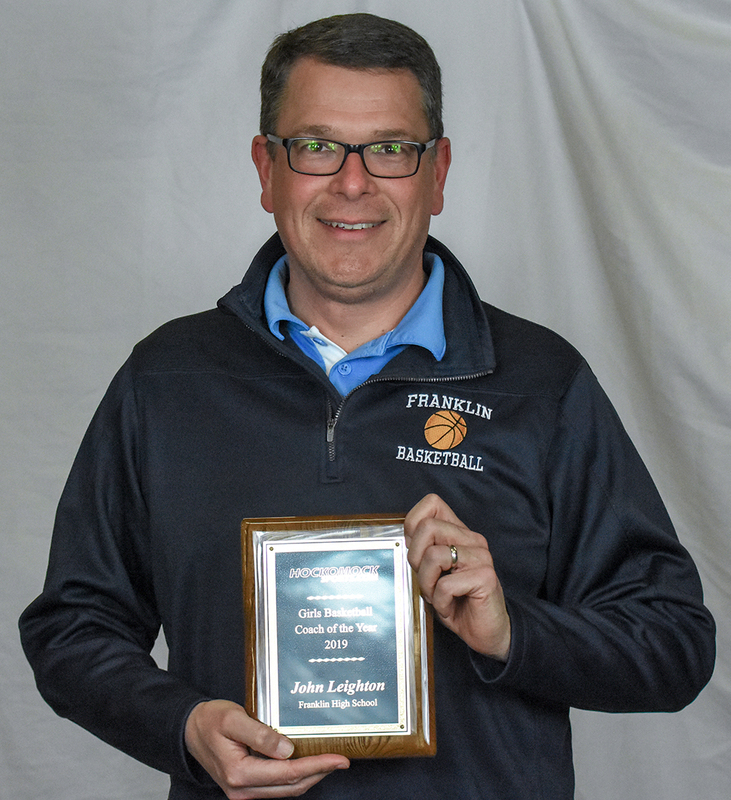 "Franklin head coach John Leighton has been named the 2019 HockomockSports.com Girls Basketball Coach of the Year. Leighton guided the Panthers to their first Kelley-Rex division title since 2013, to the program’s first-ever sectional title, and was an overtime period away from reaching the state championship game. Leighton helmed the Panthers to a near-perfect 15-1 record in the Hockomock League, including a season sweep of title contender Mansfield and a win against Davenport division champion Foxboro. Franklin battled back to beat Westford Academy in the opening round of the playoffs, after a switch of defenses in the second half, pulled away from Concord-Carlisle to reach a sectional final for the fourth time under Leighton, and then beat undefeated Wachusett with a buzzer-beater to become Div. 1 Central champ."